England secured a series win against Sri Lanka with a comfortable six-wicket victory, leading 2-0 with a game to play. Sri Lanka won the toss and elected to bat, and while they didn’t collapse as they had in the first ODI, when six single-figure scores in the top seven saw them slip to 46/7, no one was able to put up the significant innings that would have put England under pressure. Though their top eight all made it into double figures, only Harshitha Madhavi could go past 30, and five of their batters scored at less than a run every two balls. Laura Marsh struck the first two blows for England, removing both openers in consecutive overs. Prasadani Weerakkodi was caught behind for 17, while Chamari Athapaththu was caught by Lauren Winfield for 22. 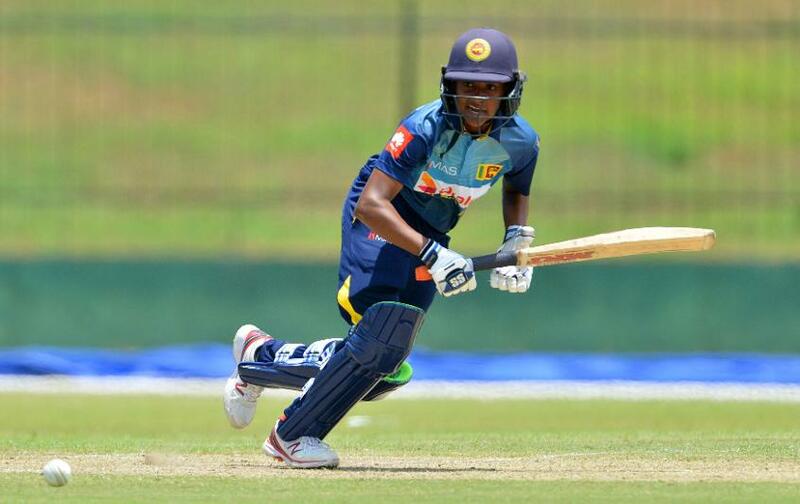 Alex Hartley bowled Anushka Sanjeewani for 14 and Shashikala Siriwardana was caught by Nat Sciver off Anya Shrubsole as Sri Lanka again lost two wickets in quick succession before Madhavi and Hansima Karunaratne added the most substantial partnership of the innings. 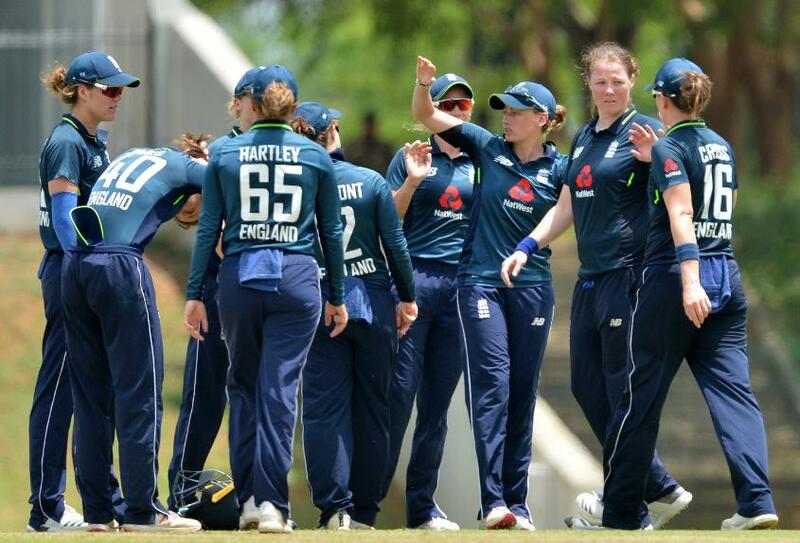 Their stand was ended on 72 by a run out from Jones, and for the third time one wicket brought two as Madhavi was caught by England captain Heather Knight off Shrubsole. Oshadhi Ranasinghe was pinned LBW by Kate Cross for 10 before Hartley polished her figures, claiming two wickets from the final two balls of the innings. Jones blazed away in reply, adding a 34-ball half-century, one ball slower than she had brought up the landmark in the first ODI. She fell caught by Inoshi Fernando off Ranasinghe to the last ball of the Powerplay, but Tammy Beaumont and Winfield carried England past 100 without fuss. Both were dismissed in the 40s by Fernando, the former bowled and the latter caught by Inoka Ranaweera. 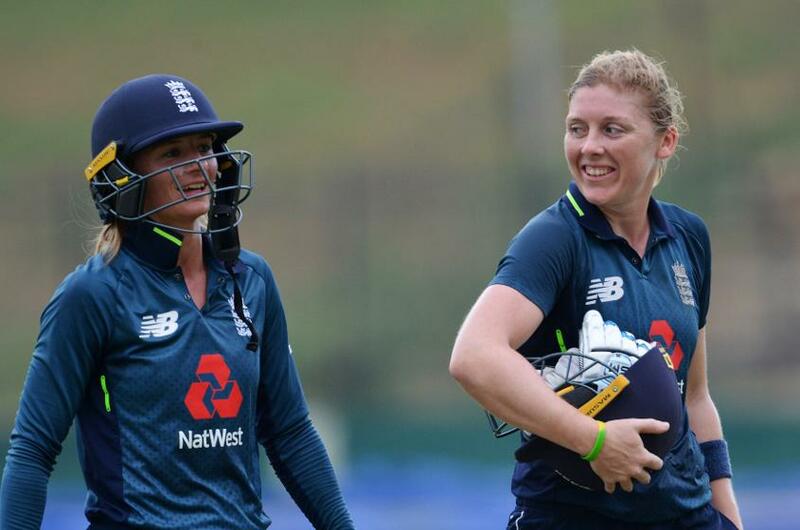 Fernando claimed her third wicket when Sciver fell LBW, but Knight and Danni Wyatt stayed unbeaten to guide England to a six-wicket win with 99 balls remaining.